We were going to get the Cheese Fondue, since The Mr had it last time and said it was incredible, but considering it was just the two of us and we were about to eat a steak dinner we decided it was probably best to start with something light. 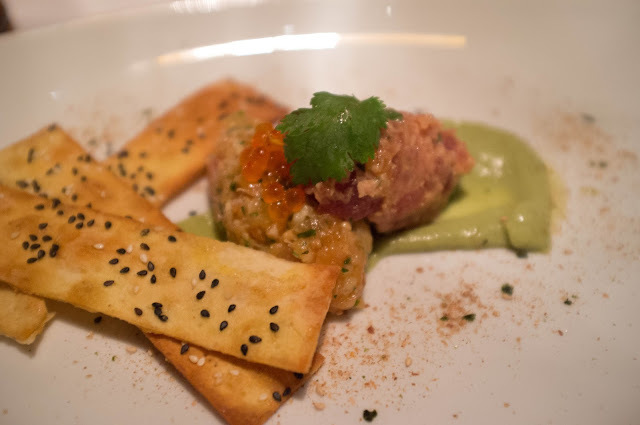 The Salmon & Tuna Tartare with Pickled Mustard Seed, Ginger, Avocado Puree, and Sesame Tuille seemed to fit the bill. This dish was just OK to me, it tasted good, but I was a bit put off by the choice of texture. But then something amazing happened. Our steaks arrived. They have a great selection of chapeaux, compound butters and sauces to choose from to go with your steak. We originally agreed to get different ones so that we could try more than one...but when it came down to it the Mushroom Truffle Chapeaux sounded so fantastic that I had to get one all for myself. Wow. Just wow. We quickly agreed that this is the best steak we've EVER had ANY where. 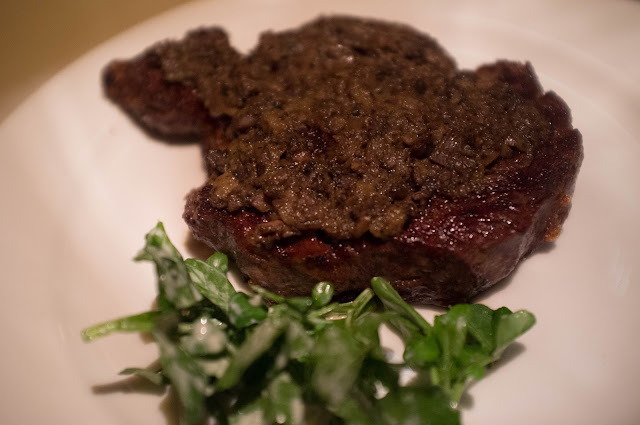 I seriously cannot understand why Peter Luger's gets so much hype. And then there were the sides. 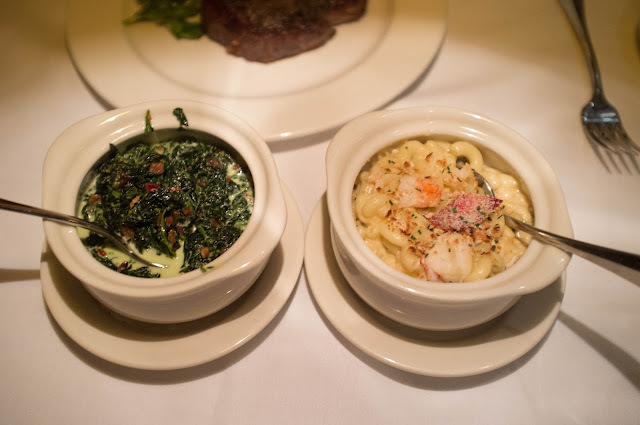 The creamed spinach is served with bacon, because, you know, spinach swimming in a cream sauce isn't decadent enough by itself. Did I say decadent? Because they also combine 3 of the world's best foods Truffles, Lobster, and Mac & Cheese into one incredible bowl. To die for. In case you can't tell, we give the food here two huge thumbs way up. Unfortunately, the service was just OK and the ambience was somewhat forgettable, but the food more than compensates for any minor flaws. Next time you have an occasion for a nice steak dinner, make this your pick. 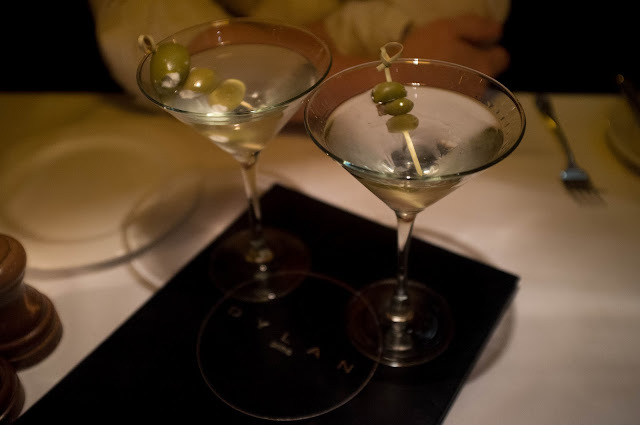 Thank you for visiting us at Dylan Prime and for your helpful comments. We are always striving to improve our guest experience. I would love to hear more about your experience and how we can improve on the service side of your visit. I can be reached at 2123344783 or rob@dylanprime.com. I look forward to hearing from you.